vibrant characters. Not to be missed!" “Kuzneski writes with an energy that is contagious!" "Excellent! High stakes, fast action, and vibrant characters. Not to be missed!" 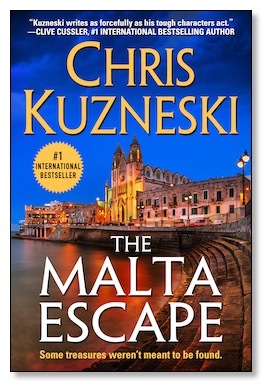 While on vacation in Malta, Payne and Jones bump into an old friend, who has come to the islands to search for a long-lost treasure of the Knights Hospitallers, an organization that dates back to the First Crusade in 1099 AD.